In the far north of Iceland, pretty little Siglufjörður (Siglufjordur) belongs on every Iceland Ring Road itinerary. Why put Siglufjörður on your Ring Road itinerary? The Ring Road, Iceland’s Route 1, offers a wealth of stunning scenery, waterfalls, and weird geology. There are even a few charming towns right along the way. But some of the country’s most attractive towns require a side trip. Siglufjörður, one of Iceland’s cutest towns, is a perfect example of why visitors should venture off Route 1 on their Ring Road adventure. And, while Siglufjörður is the most picturesque town along the way, it’s not the only one. Hofsós, Ólafsjörður, and Dalvik are also nice stops along the way. Is Siglufjörður the cutest town in Iceland? Not only does the town have a gorgeous setting, but its small downtown and historic harbor area boast colorful buildings, good restaurants, and interesting museums. It’s all a bit of a surprise, given the town’s history. Only a few families lived in Siglufjörður when huge schools of herring were discovered off its shores late in the 19th century. But this discovery began an economic boom for Iceland and, more specifically, for Siglufjörður. Salted herring was an important food product during the first half of the 20th century, and Siglufjörður was the first and most important base for catching and processing it. Herring transformed this tiny hamlet into one of Iceland’s largest cities and the herring capital of the world during the first part of the 20th century. The Herring Era Museum tells the stories of the people who flocked to Siglufjörður to work in the salting stations and reducing factories that processed the herring. And they weren’t the only ones who came. Some came to work the fishing boats and merchant ships. Others came to provide services for the town that sprang up around the harbor. Still others came to make their fortune buying, selling, and trading in herring. But everything focused on catching, processing, packing, and selling the precious fish. Money rolled in and new facilities were built until Siglufjörður had 23 salting stations preparing fish for human consumption and five reducing factories that collected oil and ground up other parts for use in products like pet food. In bad weather, the harbor was packed with fishing boats and the merchant ships responsible for delivering the processed fish to the rest of the world. It was a big business. Some years Siglufjörður’s herring exports alone comprised over 20% of all of Iceland’s exports. Of course, booms tend to be followed by a bust. Siglufjörður became less and less important as the fish moved eastward until the herring boom ended entirely in 1969 when the herring fishery collapsed. With the herring gone, all the jobs related to catching, processing, and shipping the fish were gone too. People left, vast numbers of buildings were abandoned, and Siglufjörður became a smaller, more traditional fishing town. Siglufjörður’s population today is half of what it was at the peak of the herring boom. And, while there is still commercial fishing in Siglufjörður, it isn’t huge and it isn’t based on herring. The town also has fewer buildings, as the docks, housing for seasonal workers, and facilities used to process, pack, and store the herring are largely gone. But not every sign of the herring boom is gone. A number of older buildings downtown and along the old harbor have been preserved as the town turns to tourism to bolster the local economy. The colorful buildings along what was once a bustling harbor make the perfect backdrop for a stroll. Nearby, the Herring Era Museum preserves five buildings once used to process herring to tell the story of that time. Up the hill, a few gracious mansions still prove that massive amounts of money were made during the boom. And downtown Siglufjörður is a pleasing jumble of buildings of various vintages, including a cottage with a grass roof and a 19th century house that now serves as the home of the Folk Music Center. It’s hard to imagine a more pleasant place to linger on a warm summer day. Siglufjörður (Siglufjordur) is located in the far north of Iceland. It’s a long day’s drive from Reykjavik, but an easy side trip from Akureyri . And, while it’s an easy enough drive today, the town didn’t have road access until 1940 and still feels very far from anywhere else. Siglufjörður is part of a joint municipality with nearby Ólafsfjörður. This combined municipality is called Fjallabyggð. The two are connected by the Héðinsfjarðargöng tunnels, Iceland’s longest tunnel. During good weather, it’s a pretty straightforward drive to Siglufjörður on typical Icelandic roads. Just don’t get too distracted by the scenery. And be prepared for the single-lane tunnels. Yes, as if Iceland’s one-lane bridges weren’t challenging enough, the Tröllaskagi Peninsula has a number of one-lane tunnels! A one-lane tunnel is a little intimidating, but there are pull-outs for oncoming traffic in longer ones like the two- mile Múlagöng tunnel between Ólafsfjörður and Dalvík. Drivers coming around the peninsula from west to east (south through the Múlagöng tunnel) have priority in singe-lane tunnels. While they may seem a little strange, these tunnels make the peninsula much, much easier to access. Indeed, there wasn’t any road access to Siglufjörður during the winter until the first tunnel was constructed in 1967! Dining options in Siglufjörður are a little limited outside the summer season, but the restaurants, cafes, and bakeries that are open when you visit will offer a nice selection of fresh local foods. We had the perfect fish and chips downtown at the Fiskbúðin (the fish store). The coating was crispy and the local cod melted in your mouth. The chips were good too. Highly recommended because it was both delicious and much less expensive than most other options. I am generally ok with not being rich. However, there are times when I think “if I win the lottery. . . “ Standing along the harbor outside the Siglo Hotel was one of those times. This is my fantasy hotel, a place where every room has a view of the water and quaintness abounds. And it’s not really that expensive (especially for Iceland) . . . maybe I’ll splurge next time. There are also other, less expensive options, available in Siglufjörður. Check reviews and prices on them and the Siglo Hotel and then book through TripAdvisor or Booking.com. Activities in Siglufjörður vary greatly between summer and winter. 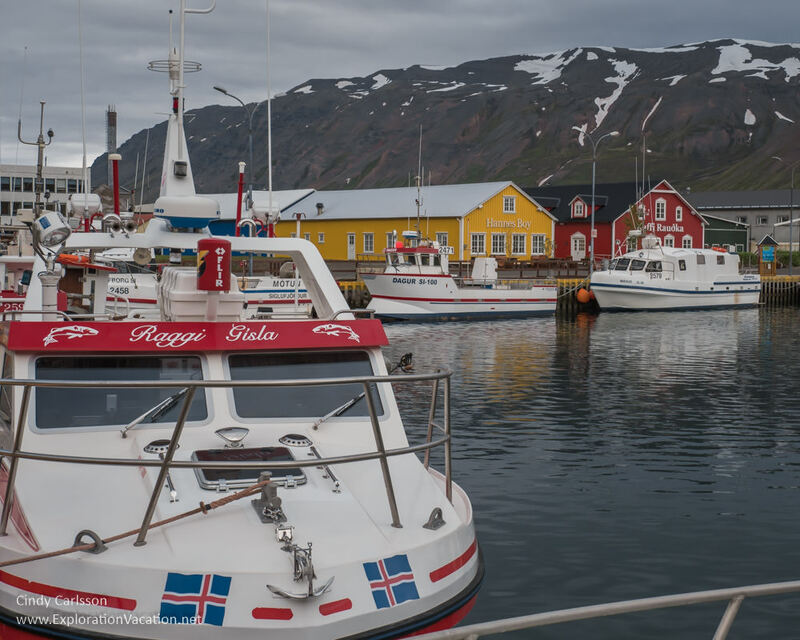 Summer in Siglufjörður is busy, with lots of activities and programs available. It’s also the perfect time to just enjoy being out-doors during the almost continuous daylight. (You are only 25 miles south of the Arctic Circle.) There are also a number of festivals and events held during the summer. And this is when the city’s museums are open. The highly regarded Herring Era Museum is located in five historic buildings just beyond downtown. Visitors move between buildings to learn about the catching, processing, and shipping of herring and the lives of the people employed in this industry. We didn’t have time to go in for a visit, but if the rusty equipment and other items outside are any indication, this is a great museum. The Folk Music Center introduces visitors to traditional Icelandic folk music through recordings and exhibits. The center also sponsors a folk music festival each summer. Unfortunately, we didn’t find this small museum while we were in town. The Saga-Fotographica photo history museum displays photographs taken by Vigfus Sigurgeirsson between 1929-1952. It also has an extensive collection of historic cameras. Obviously hiking opportunities abound around Siglufjörður, with trails suitable for hikers of all abilities. Experienced hikers even have the option of hiking over mountain passes and into an uninhabited fjord. A rather unusual hiking trail in Siglufjörður leads up the mountains through the system of supporting structures that protect the town from deadly avalanches (PDF). While they look like little more than regular snow fences from below, these are massive structures designed to catch and hold snow released in an avalanche. Based on the best technology used elsewhere in Europe, these barriers are being installed above a number of towns on the Tröllaskagi Peninsula, but visitors can get a good look at them from the trail in Siglufjörður. Summer visitors may have the opportunity to take a boat tour across the Arctic Circle. Regular sightseeing and wildlife watching tours used to be offered out of Siglufjörður, but don’t’ seem to be available anymore. (There are still regular tours out of Dalvík to the south.) Visitors interested in getting out on the water should check around to see what the options are. 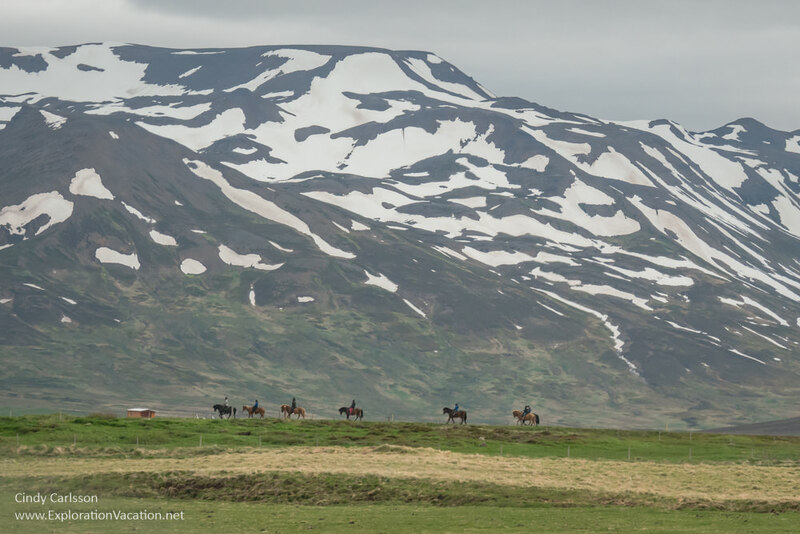 Apparently the old road to Siglufjörður is still open to hikers, horses, and automobiles during the summer. The scenery is supposed to be stunning along what is said to be the highest mountain road in Iceland. 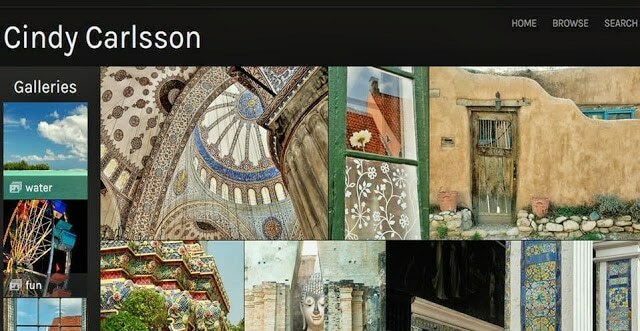 Several blogs describe this trip, but none of the official tourist websites mention it. Ask around for information on the road’s condition before you try it. With the construction of new tunnels, Siglufjörður is a lot more accessible throughout the year. However, you still should still allow extra time and flexibility in case a particularly fierce snowstorm blows through while you are visiting. And avalanches still happen, just not in town. That said, not everything is open in the winter. All of the museums close for the winter, although most will open if private arrangements are made. Tourism sites brag about the winter visits to this part of Iceland for great skiing, skating, and snowmobiling. While you can see the peninsula in a day like we did, it really deserves more time. Check the Guide to Iceland for some suggestions for a three-day getaway on the Troll Peninsula. There are a number of websites promoting this part of Iceland, but the Visit Tröllaskagi website seems to have the most in-depth and up-to-date information . . . not that all of their information is up-to-date with working links either. So beautiful, and I love the sound (and the name!) of the Herring Era Museum! It really is a gorgeous spot. I was disappointed that we didn’t have time to go into the Herring Era Museum – it looked really interesting. I want to do a return trip to Iceland that covers a lot of museums, because this one was almost all nature!